The Walking Dead, Fear the Walking Dead, and Preacher are returning to the San Diego Comic Con, and Better Call Saul will be making its first appearance at the sold-out convention. AMC’s confirmed their plans for panels and other fun treats for fans attending the Comic Con July 18th through July 22nd in downtown San Diego, and released new posters for the upcoming ninth season of TWD and second half of season four of FTWD. AMC’s plans include a special 10th anniversary reunion of the Breaking Bad cast for a panel during Comic Con featuring cast members Bryan Cranston, Aaron Paul, Anna Gunn, RJ Mitte, Dean Norris, Betsy Brandt, Bob Odenkirk and Giancarlo Esposito set to take the stage. Bob Odenkirk and Giancarlo Esposito will be pulling double duty by also appearing on Better Call Saul‘s first ever San Diego Comic Con panel with co-stars Rhea Seehorn, Patrick Fabian, and Michael Mando. Panel from 3:30pm-4:30pm on Thursday, July 19 in Hall H. Better Call Saul panelists include cast members Bob Odenkirk, Giancarlo Esposito, Rhea Seehorn, Patrick Fabian and Michael Mando, along with Executive Producers and Showrunners Vince Gilligan and Peter Gould. The panel will be moderated by Bill Burr. Panel at 4:30pm-5:30pm on Thursday, July 19 in Hall H. Breaking Bad panelists include cast members Bryan Cranston, Aaron Paul, Anna Gunn, RJ Mitte, Dean Norris, Betsy Brandt, Bob Odenkirk and Giancarlo Esposito, along with series creator Vince Gilligan. The panel will be moderated by Bill Burr. Panel from 11:15am-12:15pm on Friday, July 20 in Hall H. “Fear the Walking Dead” panelists include cast members Colman Domingo, Alycia Debnam-Carey, Lennie James, Danay Garcia, Garret Dillahunt, Maggie Grace and Jenna Elfman, along with Executive Producers and Showrunners Andrew Chambliss and Ian Goldberg, Executive Producers Scott M. Gimple, Robert Kirkman, Gale Anne Hurd, Greg Nicotero and David Alpert. The panel will be moderated by Yvette Nicole Brown. 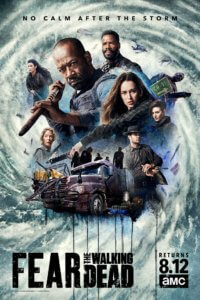 About Fear the Walking Dead – The first half of season four began with one figure huddled around a campfire, and ended with nine. Characters who started their journeys in isolation collided with each other in unexpected ways and found themselves in one of the last places they ever expected to be…together. In the back half of the season they will explore who they are now – as individuals and as part of the greater group – and how they will forge ahead. They will find themselves pitted against new adversaries – human, walker, and even nature itself. Theirs will be a journey wrought with danger, love, heartbreak, loss, and ultimately, hope. Panel from 12:15pm-1:15pm on Friday, July 20 in Hall H. The Walking Dead panelists include cast members Andrew Lincoln, Norman Reedus, Lauren Cohan, Danai Gurira, Melissa McBride and Jeffrey Dean Morgan, along with Executive Producer and Showrunner Angela Kang, Executive Producers Scott M. Gimple, Robert Kirkman, Gale Anne Hurd, David Alpert and Executive Producer, Director and Special Effects Make-up Supervisor Greg Nicotero. The panel will be moderated by Yvette Nicole Brown. About The Walking Dead – Based on the comic book series written by Robert Kirkman and published by Image Comics, The Walking Dead reigns as television’s most watched drama for adults 18-49 for a record-breaking six consecutive years. 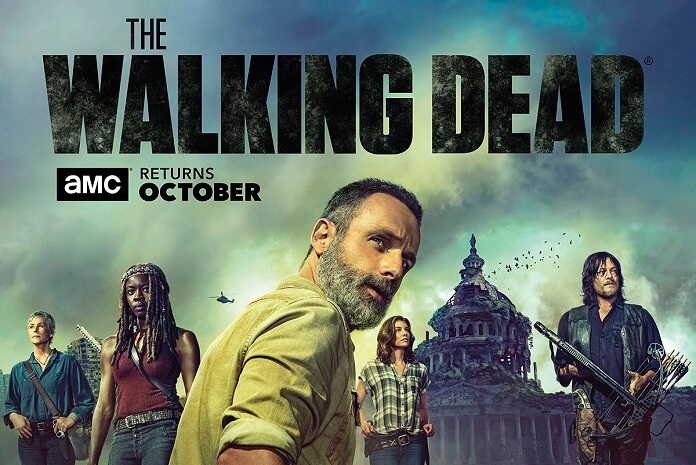 The Walking Dead tells the story of the months and years that follow after a zombie apocalypse, and follows a group of survivors, led by police officer Rick Grimes, who travel in search of a safe and secure home. Panel from 7:30pm-8:30pm on Friday, July 20 in Hall H. “Preacher” panelists include cast members Dominic Cooper, Ruth Negga and Joseph Gilgun, along with Executive Producer and Showrunner Sam Catlin and Executive Producers Seth Rogen and Evan Goldberg. About Preacher – In Season 3, Jesse Custer’s quest for God takes him back to the place he’s been avoiding his whole life: home. Jesse, Tulip, and Cassidy return to Angelville, the Louisiana Plantation where Jesse was raised, and find old grudges and deadly obligations await them. With the help of his friends — and a few enemies — Jesse will need to escape his past… because the future of the world depends on it. •	A red-carpet premiere screening event for Better Call Saul, featuring the series cast and producers. The Emmy®-nominated series returns for its fourth season on Monday, August 6. •	“Dead Quarters,” the official fan zone of The Walking Dead and Fear the Walking Dead. The immersive experience will feature a curated walk through of settings from both series, including The Sanctuary and a thrilling 22-foot Zombie slide, inspired by the one in Fear, as well as photo opportunities with the walker composter and Negan’s “flaming Lucille,” among other activities. Dead Quarters will be open July 19-21 from 11am to 6pm, and July 22 from 11am-4pm at 4th Avenue and L Street. •	A booth activation for The Walking Dead: Our World, AMC and Next Games’ new location-based, augmented reality mobile game, launching July 12. Convention attendees will have an opportunity to play the game in a unique Walking Dead-themed setting, fighting walkers with Rick, Daryl, Michonne and other characters from the series. In celebration of Comic-Con, The Walking Dead: Our World will also offer players an exclusive, limited-time “Comic-Con Special Encounter” in-game activation, which will reward players with guaranteed “Rare” or “Epic” characters from The Walking Dead series to add to their collections in the game.